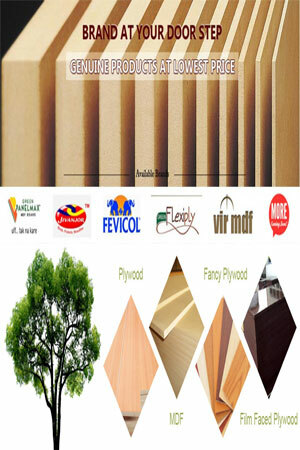 Royal WeatherPly MDO is exterior type plywood of 100% western hardwood veneer which has been overlaid with a resin-treated fiber overlay. Medium density overlays are designed with just the right tooth for smooth rapid paint application, making MDO the preferred panel for sign manufacturers where long lasting paint or coating performance is required. Highway departments and commercial sign shops across the country specify MDO for signs because they carry the message clearly, deliver the structural properties required of large sign installations and are highly resistant to weathering and vandalism. Bonded with fully waterproof glue, the western hardwood veneers are relatively grain and patch free. Panels are 10 to 15% lighter in weight than Douglas Fir panels. Royal WeatherPly MDO is available overlaid one side (G1S), overlaid one side with a backer sheet (65/C), or two sides (G2S) in standard thicknesses of 5/16″,3/8″,1/2″,5/8″, and 3/4″. Thicker panels are available up to 1-1/2″. Panel sizes range from 4’x8′ to 5’x10′ with a one piece overlay. Cut to size capability exists, as does scarfing for panels over ten feet (10′) in length. Standard packaging is 105 pcs 5/16″, 88 pcs 3/8″, 66 pcs 1/2″, 53 pcs 5/8″, and 44 pcs 3/4″, however ship exact quantities are offered for specific job needs. Call K Ply at 800-426-7017 for a product data sheet.